By its own nature, Rome expresses itself through the layering of its buildings over time. By its social nature, Rome is welcoming but reluctant to integrate. Rome is a pot of contradictions, and it was these contradictions that informed the concept used in the Concorso Flaminio (Flaminio Competition). The proposal suggested by the working team offers a “space” to reflect on the designing process within the frame of the dichotomy of tradition and innovation. The designers themselves worked in a diverse team, both from a cultural and geographical point of view, with RMJM Italia in Rome working collaboratively with RMJM’s Shenzhen Studio in China and renowned Japanese architect Waro Kishi. The different and important opinions of each partner are an asset when defining the mutual competencies and interpreting the territorial potential. The urban relation with the city and the local context guide the overall master plan strategy. 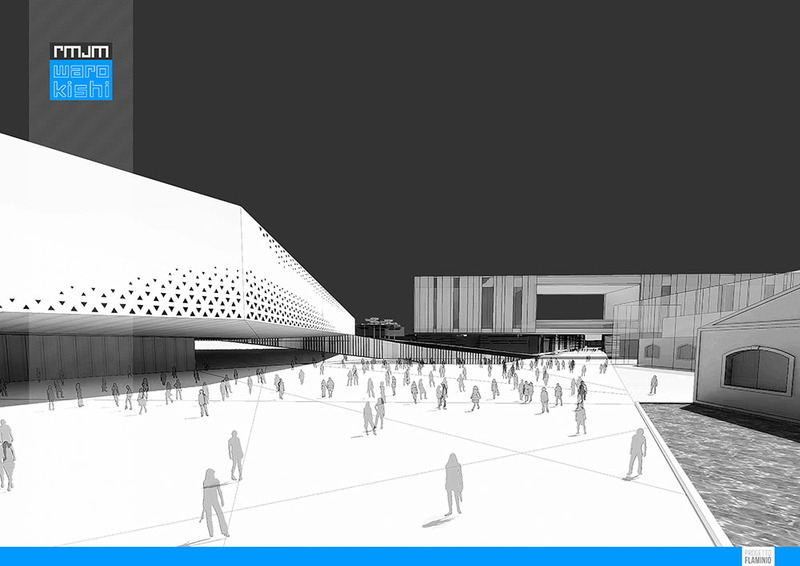 The preliminary design of the project highlights a particular focus on the management strategy of empty spaces as an asset to the collective heritage. The key concept makes it possible to understand the relationship derived from the urban and metropolitan scale. 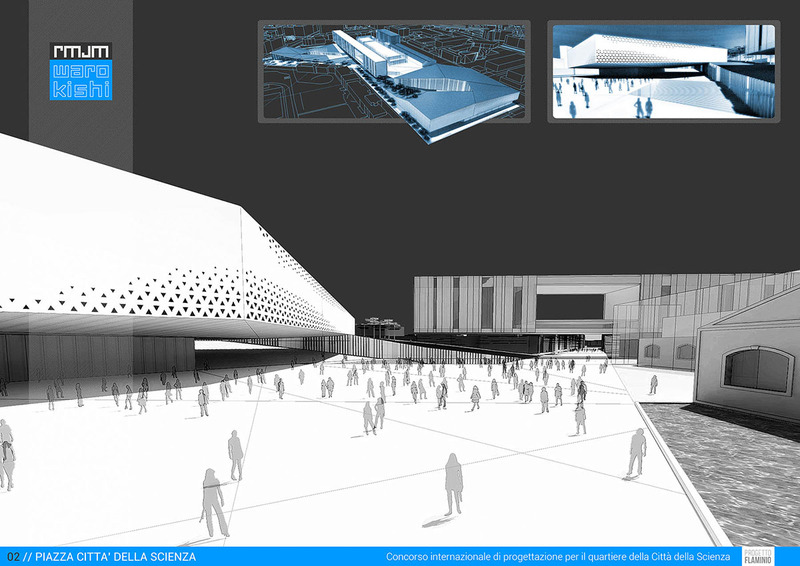 On the one hand, R. Stern street develops into an important player in the prospective extension of the pedestrian area of the master plan, while, on the other, the square in front of the City of the Science becomes the mediation element and natural continuation of MAXXI museum, creating a sequence of public spaces across the historic neighbourhoods. At local level, the residential pattern reflects the historic memory of the environment and strengthens the parallel matrix to the G. Reni side street which outlines the previous urban neighbourhood. On this note, empty spaces are highly relevant since they respond to a specific management system of the residential pattern, which sits within the internal part of the masterplan, while the perimeter of the whole site is devoted to public activities.